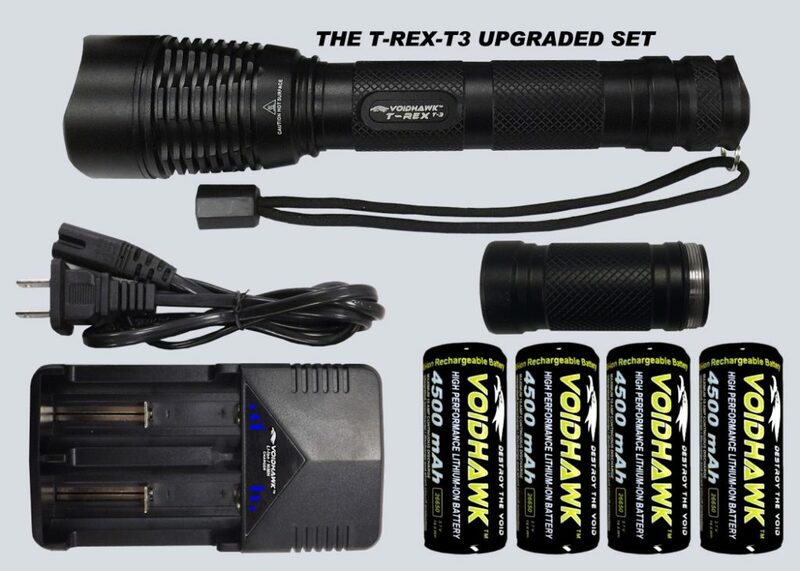 Used by Law Enforcement and Military Personnel, VoidHawk Flashlights have the power to cut through the darkest tinted windows with fast zooming flood / spot beams demonstrating the highest lumen to size output ratio available in a modern LED Flashlight. Dual focusing optical lenses give you a straight line projected square spot beam that can shine along straight walls and around corners without blinding you with a reflection, illuminating objects hundreds of yards away. 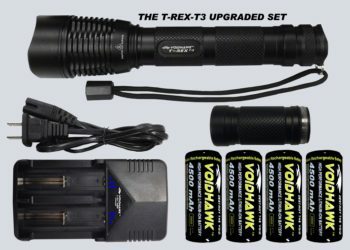 Voidhawk Flashlights use genuine CREE® High Power Digital LED emitters driven by high quality, modern control circuit boards that utilize sophisticated booster circuitry to increase the brightness of the Flashlight. A high powered flashlight is only as good as the batteries that drive it! When you buy Genuine Voidhawk™ Brand Batteries you can be sure you're going to get brand new factory fresh high performance power cells labeled with a TRUE mAh rating delivering you over 500 recharge cycles per cell. 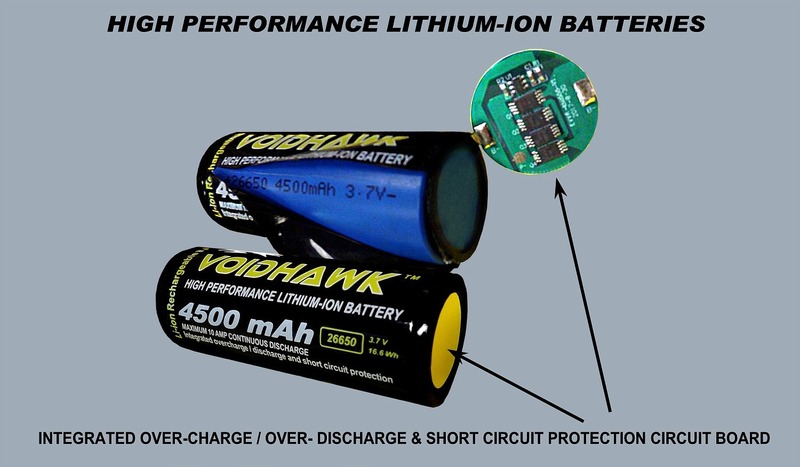 VoidHawk™ batteries are made with the highest quality power cells and are designed to provide stable high drain amperage output all the way to the end of the discharge cycle. Sure you can buy cheaper batteries for your flashlight but you won't get the true power and long run times the flashlight was designed for out of low quality batteries. Don't take a chance on possibly dangerous low quality lithium-ion batteries. If the price seems too good to be true, it probably is. If you're shopping for safe, high quality Li-Ion batteries you can buy VoidHawk™ brand batteries with confidence. 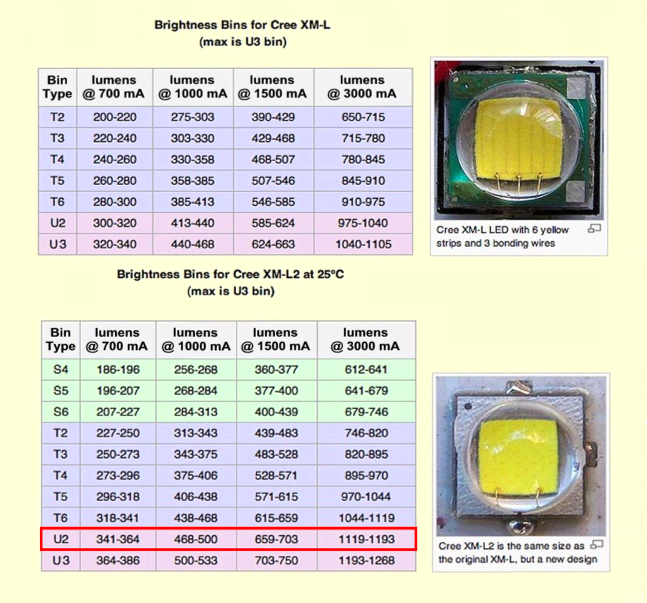 *The maximum possible lumen output of a CREE XML2 T-6 LED EMITTER is 1100 lumens. but don't provide the Amperage to produce it! See The LED Comparison Chart and the Current To Lumens Graph for further details. In Stock - Fast Shipping From Florida USA! WE ARE A USA COMPANY AND WE STAND BEHIND OUR PRODUCTS! Copyright © 2014 Voidhawk™ Flashlights. All Rights Reserved. Free shipping offer applies to orders of $100.00 or more. Maglite® is a registered trademark of Mag Instrument, Inc., Ontario, California U.S.A. Voidhawk™ VS Maglite® flashlight comparisons were made with the Maglite® Model ST3D016 3-D Cell LED Flashlight. VoidHawk™ Flashlights is in no way associated with Mag Instrument, Inc. CREE® is a registered trademark of Cree, inc., Durham, North Carolina U.S.A. Though we use CREE® components in our products, VoidHawk™ Flashlights is in no way associated with Cree, inc. Runtime, beam distance, and Lumen calculations are estimates based on battery mAh, optical characteristics, and driver board amperage output.